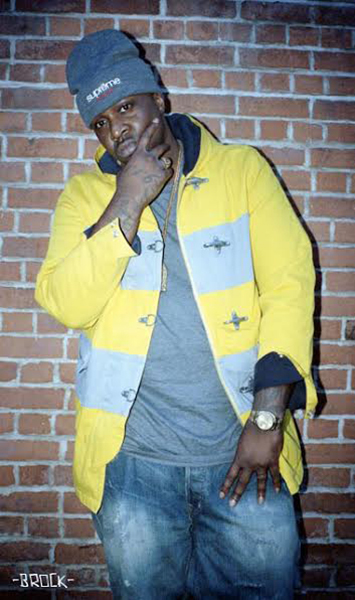 We recently had a chance to catch up with DZA in midtown NYC as he was prepping the release of latest project, The Outsiders alongside his crew, RFC. DZA sat down over a plate of homemade food – chicken, mashed potatoes and greens to be precise – to talk about the rap game, hip hop fashion, and what makes him sweat. “You call yourself a lifestyle rapper,” explain what a “lifestyle” rapper means. Well, a lifestyle rapper, or a lifestyle artist is someone that’s not categorized by a certain lane of music, it’s really just a lifestyle that the artist lives. In my particular case, the music that I make is reference all to my life, its stories I’ve seen from my window or heard from my friends, so I categorize it as lifestyle rap, because I’m really giving my life, so that’s lifestyle rap. I’m influenced by everything around me – fashion, family, basketball, and fun. So that’s pretty much my lifestyle all in a nutshell with those four things right there. Talk about some of the fashion inspirations. You definitely are known for wearing some pretty sweet hats. Talk about that and maybe share some of your favorite brands. Well, I love bucket hats, that’s been my thing since I was a kid. My favorite brands; Ralph Lauren of course and everything that falls underneath it: Denim and Supply, Double RL, Regular Ralph, Classic Ralph Lauren, RLX, Black Label, Purple Label. I love Ralph Lauren though, that’s what I’m into. And there it is. You pride yourself on your performances, talk about performing on stage. Well, performing on stage is something that definitely makes me sweat. I give my all when I’m up there. There’s nothing like that rush and that adrenaline that pumps through your body, when you have people you’ve never seen before in life vibing with you on the music and you’re connecting with them. It’s that moment where you know that nothing else matters right now but this. Performing is definitely something that I love doing, it’s a craft that I’m really really trying to perfect, and I continue to work on it as much as I can. How do you stay cool when you’re preforming on stage? Honestly, that’s the only time I might not stay cool. I’m cooler than central air all the time (laughs) but when I’m performing it’s like I’m Patrick Ewing in the fourth quarter. With that sweat, it’s hard to stay cool on stage. I look forward to the summer festival shows – performing outside, but still that’s hard, because I like to move with my fans, I like to get into that mode, get into that moment, it’s no holds barred after that. So it’s hard to stay cool on stage, of course my aura stays cool but my body sweats a lot. Share a specific story that stands out to you about one of the experiences that might have been your “hottest” experience as a performer? I think I was in Ann Arbor Michigan, it was a really small spot I played in and the venue was boiling! Actually I’m lying it wasn’t Ann Arbor, I take that back, it was Boston – at The Middle East, yeah that’s the name of the venue. It was so hot in there that even the roof was sweating! There was water dripping off that roof, and it was like everyone was packed on top of each other so it was even crazier. That may be like the hottest performance that I had. Have you ever been so hot that you ever had to go through outfit changes onstage? I’ve done outfit changes on stage – but not because I’m hot, but just because I’m fly. (laughs) Nah, really I normally do outfit changes after I get off stage. I never have to change my attire until I get off and you know I’m drenched in sweat and I need one of those fresh Polo tees out the three pack. I know you’re a huge basketball fan and player. Tell us how much basketball is an influence in your life and your lifestyle. Wow, you do your homework! Yeah, basketball is another thing that makes me sweat. Before my rap dreams, I had hoop dreams. Up to this day I still recreationally ball, and I still think I’m Jamal Mashburn or Tim Hardaway. And that’s definitely something else that makes me sweat. 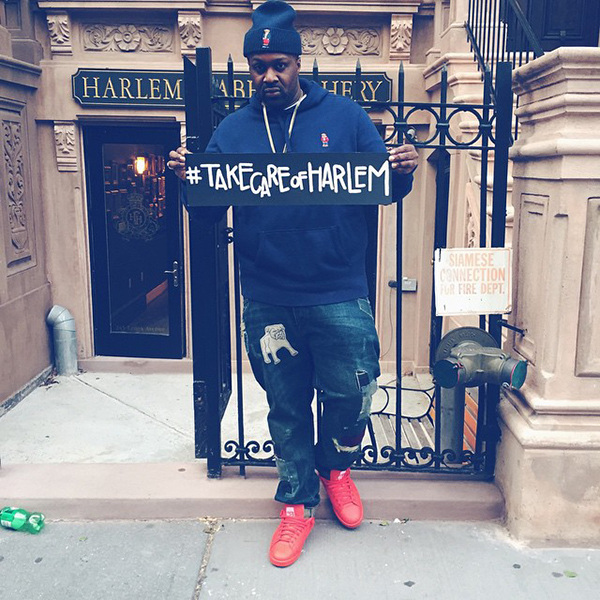 What are the big plans for 2015 for Smoke DZA? Aside from getting on the road and continuing to record good quality music, I strive to continue to stay relevant in this pop culture and to achieve other goals and really solidify myself as a boss and put my company on the map. The bucket hat, aka fisherman’s hat, giggle hat or ispoti, typically has two metal eyelets on each side of the hat providing ventilation, which helps to keep the wearer “cool” on hot days. There are many that share a love for hip hop and basketball, namely Shaquille O’Neil, Dana Barros, Ron Artest, Chris Webber and Stephen Jackson, to name a few – all NBA players turned rappers. The Middle East is a restaurant and nightclub that opened in 1970 and has featured top talent in a range of musical genres including Tony Bennett, Aerosmith and The Buddos Band. Injury rates for hip hop dancers greatly exceeds other forms of dance and is on par with gymnastics. Of the types, breakers suffer the most injuries with Popper/Lockers in second place. Breath control is critical for hip hop artists – diaphragm exercises can help improve lung capacity.